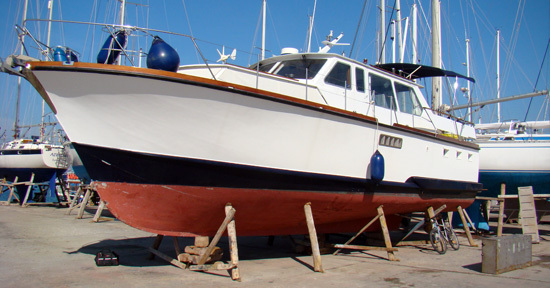 An Insurance Survey or Insurance Condition Survey is often a requirement of the insurance company when a yacht changes ownership, reaches a certain age or every five or ten years. Insurance companies will generally only accept Insurance Surveys from known surveyors or qualified surveyors who are member of one of the internationally recognised surveying organisations for example the IIMS. Joe has carried this type of survey out for yacht owners who have British, European and American based insurers. Sometimes the different insurers have slightly different requirements so it is important to know exactly what the insurers require so the Insurance Survey is cost effective. Please contact me with your requirements, or I can contact your insurers directly if you wish. The detail of the survey is presented in a clear, easy to understand report. Photos are used where necessary. Within the report defects found during the survey are listed and information given on their importance and recommendations for repair. The report is delivered as soon as possible after the inspection, generally within a few days, I guarantee that this will be less than ten working days. If you wish Joe can send the report directly to the insurers.